Shatter resistant. 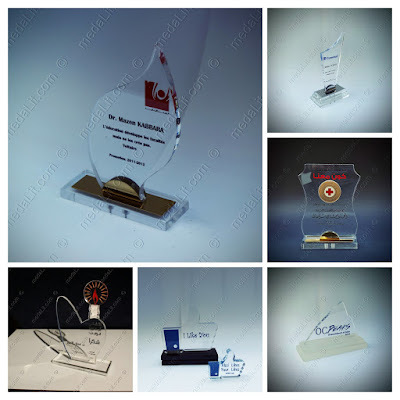 Acrylic plates thickness used to produce the trophies are 18, 15 or 10mm. Unique and personalized. 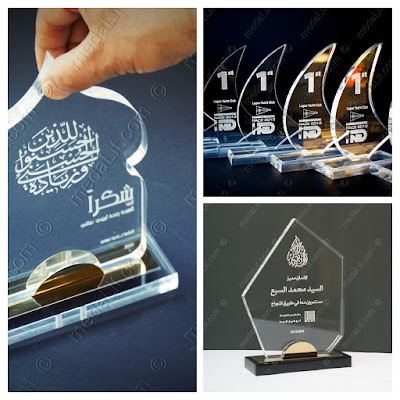 Your design and personalized message can either be laser engraved or printed without extra cost. Consistent. 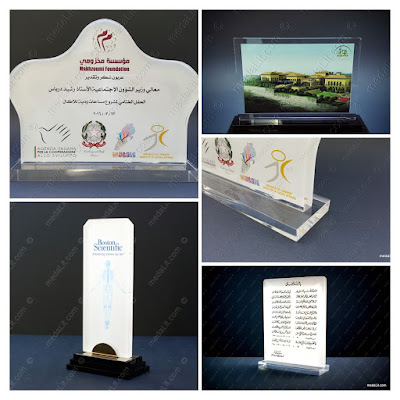 Each model is available in 2 or 3 different sizes. Highlight Your Logo. Custom-made luxury medal produced to fit can be added. Custom-made medals' cost is detailed in our medals page. Add an accent. For a very little extra cost you can choose any medal from our large collection of ready-made medals and add it to your trophy. 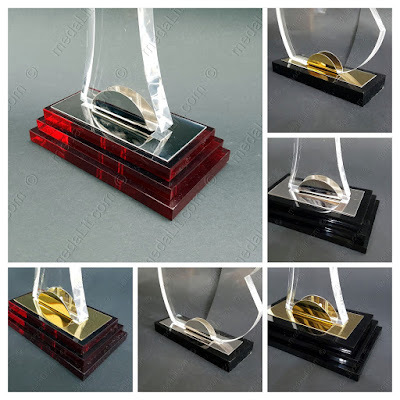 Ready-made theme medals transform your chosen trophy into a thematic trophy, for example adding a basketball medal transform your chosen trophy into a basketball trophy. Ready-made medals' cost is detailed in our medals page. Richer Presentation. 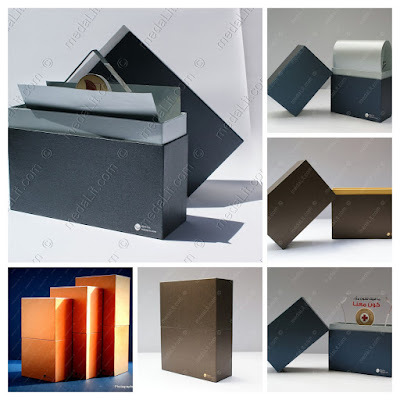 Luxury boxes are available as a replacement to our standard gift box. 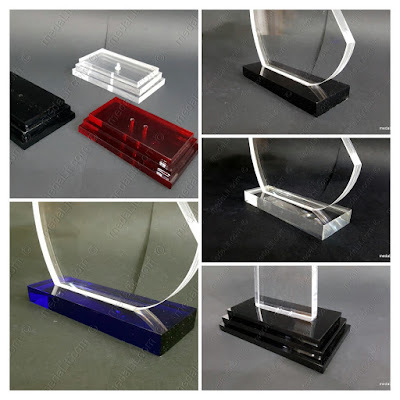 Cost is detailed in our boxes page.